Sometimes absence is as palpably felt as presence, if not more. In “The Return”, the two young boys struggle through more than a decade of a fatherless childhood only to find out eventually that what they feel in his presence is a continuation of that absence. The awkward imposition of a father’s claim finds a violent outcome as the boys experience a range of emotions of mythic proportions. 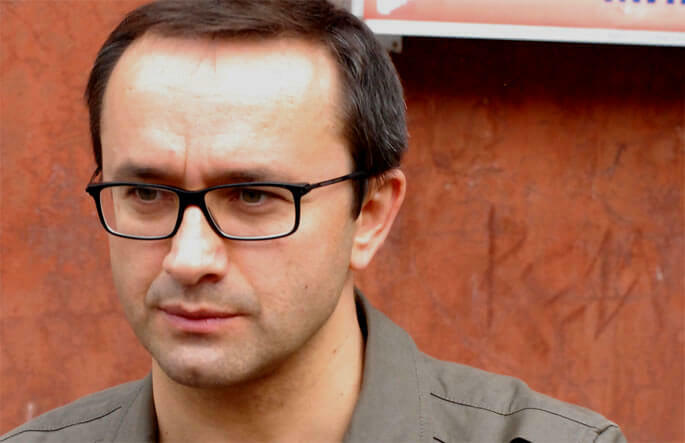 Andrey Petrovich Zvyagintsev is a Russian film director and screenwriter. He is mostly known for his 2003 film The Return, which won him a Golden Lion at the Venice Film Festival. Following The Return, Zvyagintsev directed The Banishment and Elena. The lonely island becomes a paradise where the two brothers are tested for obedience. The recurrent images of tower, ivan’s failure to negotiate with his altophobia only to finally win over it to gain access to the power over the father, the father’s spread out hands at the moment of the fatal fall reenacting the crucifixion, the echo of the last supper as the father distributes wine and food… All create a pattern of mythologic universality. One may even wonder if the father was at all present, or was he just a figment of the boy’s imagination! Afterall in the black and white photos during concluding title scrolls, which reinforce the idea that the film is a visual representation of the boys’ journal entries, show the older photos of the father carrying a very small ivan in his arms. There is absolutely no photographic presence of the man as he is seen by the grown up boys. A rich experience, needs more than once watching to get the deeper significations. There are layers to be decoded, of mystery boxes and denials and dismantling of expectations and deconstruction of patterns subverting the russian folkloric trope of ivan the fool and his quest for significations.